A disability is defined as a physical or mental handicap that prevents a person from living a full, normal life or from holding a gainful job. However, there are people across the world who live on and thrive despite whatever disability they possess. In fact, quite a few of them have been great contributors throughout history and quite famous because of their accomplishments despite their disabilities. To be included on this list, the person with the disability had to be famous because his/her accomplishments far outweighed any disability, whether he/she was born with it or developed it later in life. This Canadian born actor is probably the most well-known and well-loved celebrity with Parkinson’s Disease. Fox was diagnosed with the disease in 1991 and didn’t reveal his condition until seven years later. Since then he has semi-retired due to the complications and has become an outspoken advocate of research including stem cell research to cure Parkinson’s. 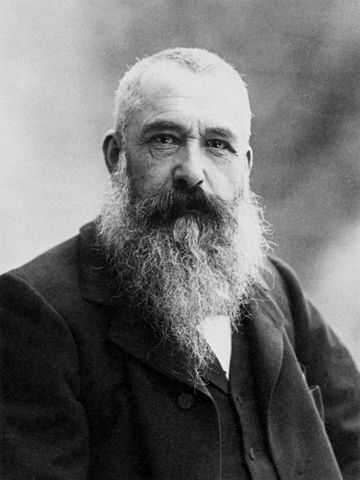 Most people remember Claude Monet’s for his impressionist paintings and his founding depiction of the painting technique. However, few people realize that as the Frenchman grew older in the early 1900s, he eventually went blind due to cataracts. In the last decade of his life despite his failing eyesight, he continued to paint including the famous paintings of water lillies, “Nymphéas.” Though Monet was not blind during the most productive painting period of his life, his work is still inspirational. Another actor in this Top Ten, American Marlee Matlin won the Best Actress Academy Award in 1986 for her debut performance in “Children of a Lesser God.” Mostly deaf since she was 18 months old, Marlee has garnered attention for deaf people the world over by being an advocate and role model. Also an Emmy winner, Matlin is a prime example of an artist who has succeeded despite her disability; few other actresses have had as much success even without the disability. Blind and deaf, this American was the first such person to graduate from college. Famously tutored by Annie Sullivan, her life was chronicled in the play, “The Miracle Worker.” After graduation, Keller became a noted speaker, author and crusader for pacifism, women’s right to vote and birth control among other causes. Being featured on the Alabama state quarter, Heller is coincidentally only one of two people in this list to be on American currency currently in circulation. Both Ray Charles and Stevie Wonder will be known long after their deathes for their lasting impression on Rock ‘N’ Roll, blues and soul music despite both being afflicted by blindness. These Black American men are both Grammy winners and pioneers in the music industry opening doors for artists of color for years after their own time in the spotlight. Though Ray made his mark in the 50s and 60s, Stevie topped the Billboards in the 60s and beyond. And while Ray lost his sight mysteriously between 5 and 7 years old, Stevie was blind since birth. Either way, they were both gifted musicians who could paint beautiful pictures with music. For most of his career, Christopher Reeve was known throughout the world as the movie version of Superman. However, after an equestrian accident in 1995 where he was left confined to a wheelchair, he became a household name once again as a crusader for research to cure spinal injuries. Like Fox, he became an advocate of stem cell research in hopes of finding a cure. However, long before his accident Reeve had been an advocate for causes such as the Make a Wish Foundation and the Special Olympics. That advocacy continued with the creation of his namesake Foundation as well as the Christopher and Dana Reeve Paralysis Resource Center. Reeve truly proved that no matter what he was a Superman. Few musicians have ever made their mark when they are deaf. However, one Austrian/German composer and piano virtuoso did just that after losing most of his hearing from tinnitus at the age of 20. Ludwig van Beethoven then used special hearing tubes and felt the vibrations of his piano to compose, which he did through a Classical, a Heroic and, finally, a Romatic period after tutoring under some of the other great composers in history, Mozart and Haydn. One of the most well-known composers in history, his accomplishments are as dazzling and spell-binding when taken into consideration that he was never able to hear his own work. The only American President to ever serve more than two terms, Franklin D. Roosevelt was paralyzed from the waist down by a form of polio or Guillain-Barré syndrome in 1921. While the actual disease that left him bound to a wheelchair has not been verified with 100 percent accuracy, FDR is known as one of the greatest presidents in American history leading the population through many tumultuous times. The Great Depression and World War II were two of the worst periods in American history known for their volatility and the loss of both human lives and many Americans’ livelihoods. However, FDR was the man for the job leading America through these times with confidence and grace that was not marred by his disability. And like Heller, he is also currently featured on an American coin – the dime. Believed to have Asperger’s Syndrome, it is documented that the man, with whose name genius and mad scientist are associated, did not talk fluently until he was nine, failed his college entrance exam and had a hard time remembering simple things such as his phone number or how to tie his shoes. Nobel Prize winner for Physics Albert Einstein proved to be one of the most gifted minds in science and history though he was also rumored to have been dyslexic as a child which might have accounted for some of his problems with language. Einstein was known for his energy to mass-light conversion as well as the theory of relativity; great scientists including Hawking have used his scientific thoughts and theories to create much of the modern world’s wonder and new theories. 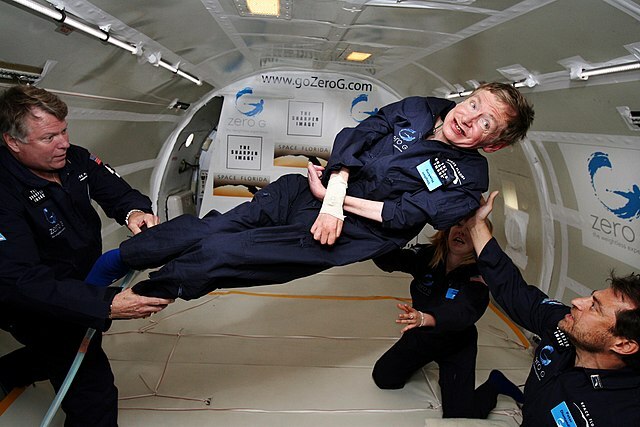 Truly a gifted mind that was addled by a few kinks, he was remembered as being a genius with a few loose screws. Despite those mental flaws, the man was possibly the greatest mind to walk the earth in centuries and truly deserves to top this list. Very nice list that could easily be expanded. 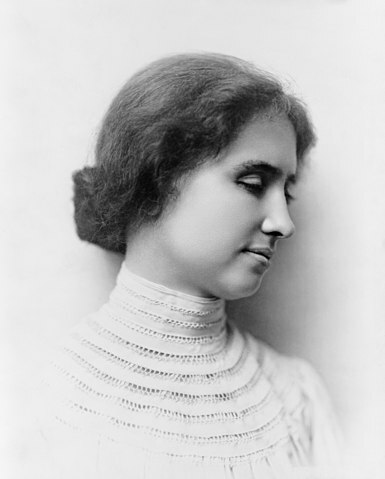 Many great people have done incredible things in spite of their disabilities. Still, this is nice start. I did not know that about Albert Einstein. Czech composer Fredrich Smetana also went deaf as did Beethoven and also kept composing; his "Furiant' from his opera "The Bartered Bride" has been used on nearly every Road Runner-Coyote chase sequence. And other musicians, such as Paul Pena and George Shearing, have mastered blindness. Michael Milton-Fastedt skier in Australia even though only on 1 leg. Not on the level of what these have overcome, but John Stossel used to have a severe stutter and overcame that to become (in my opinion as a journalist myself) one of the best journalist of our day. I vote for Nick Vujicic. The end to this otherwise entertaining list is the worst I have seen in a long time. FDR was a man, who was elected president even though he was always on a wheelchair. This alone would be a 1st deserving accomplishment. Then you realize FDR saved America from the Depression and set the course for Allies victory in WW2. In a war when the people needed a hero and a strong leader, he looked and was the part even with polio. The fact that a person who made little to no actual achievements, beats FDR in your opinion is appalling and basically moronic. Thanks for the information, it my wish that people living with disability will know that, disability is not the end of life that they can challenge that challenge and become another example of our days.